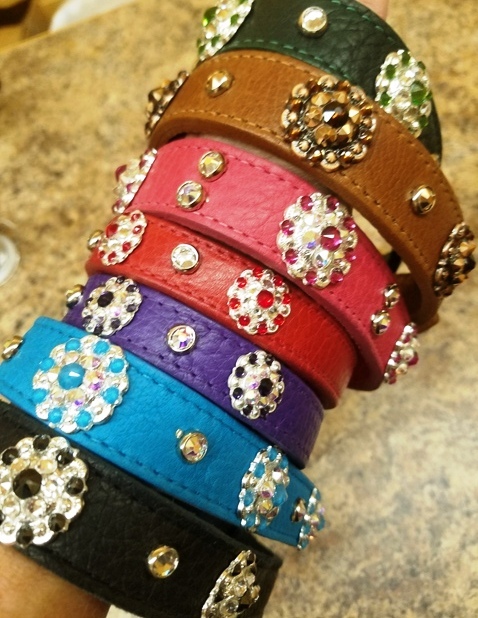 Now available in your choice of crystal buckles at one end (above) or both (below) for only $10 more! 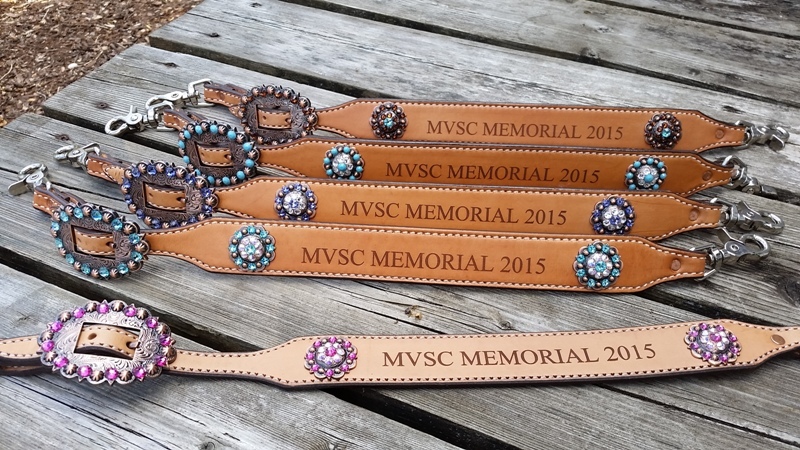 Wither Strap also features 2 crystal conchos in your choice of genuine Swarovksi crystal colors. 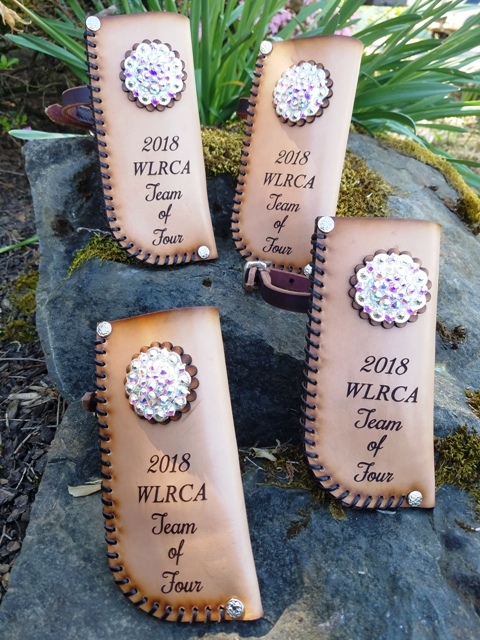 We will laser engrave your name or text into the leather. Also has scissor snaps at both ends for your convenience. To order, make your choices below and click "add to cart”. 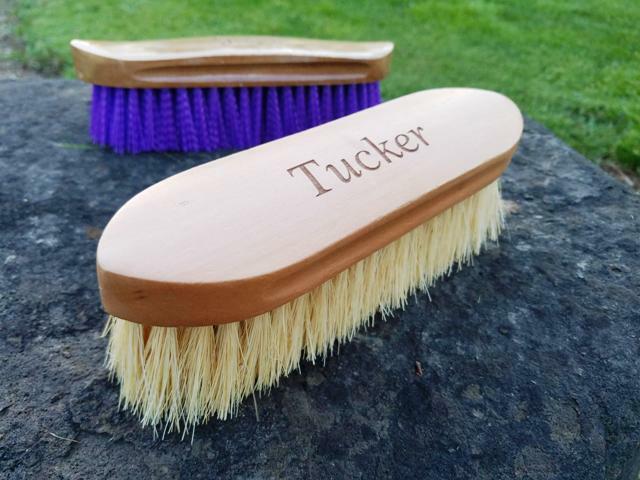 Personalized Brush - Laser Engraved - Great Gift or Award!